Or "what goes around comes around." When you are the only "superpower," you can do whatever you want. You don't have to respect anyone else's "rights," cuz, really now, if they don't like it, what are they realistically gonna do about it? The US worries of the fate of its citizens barred by the Cairo regime from leaving Egypt, which has criticized their lobbying activities. ...At least 10 American citizens were employed by three US-based firms that lobbied the American government on behalf of Egypt but which abruptly canceled their contracts with Egypt last Friday, following deteriorating relations with the regime in Cairo. It had criticized the lobbyists for having defended the government of Hosni Mubarak in its first raids on protesters last year. One of the lobbyists who cannot get out of Egypt is Sam LaHood, the son of President Barack Obama’s Secretary of Transportation, Ray LaHood. The three lobbying firms are run by former Congressmen and a powerful lobby group with close ties to the Obama administration. Like a bull in a china shop, the US runs all over the world sticking its nose into everyone else's business instead of tending to its own. And then they express surprise at why they receive a less than enthusiastic welcome. It's an evangelistic nation that is so convinced of the righteousness of its own philosophy, it is trying to force it on the rest of the world. They are busy as little bees trying to spread their empty cultural "values." There's an oxymoron for you. ...As usual, at the core of the problem is big industry, which is blinded by greed and enabled by a corrupt governmental system that permits the profit-driven sacrifice of our environment. Unfortunately, this motivation reflects an extreme shortsightedness about the long-term survival of the human race, as well as of our planet. Not only are commercial agricultural practices harming honeybee colonies, but your own health is being compromised by deceptive marketing practices about the "honey" you buy, some of which isn't really honey at all, despite what it says on the label. ..Pure, natural, unfiltered raw honey has an abundance of medicinal and nutritional uses.... [But] more than 75 percent of the honey on American supermarket shelves may be ultra-processed—to the point that all inherent medicinal properties are completely gone—and then smuggled into the country by the barrel drum. Nearly all of this fake honey is made in China. Some of these brokers will even create bogus country of origin papers. All 60 jars of "honey" tested by FSN came back negative for pollen (including Sue Bee and Winnie the Pooh brands), which is a clear sign of ultra-processing. ...Millions of pounds of honey that have been banned by the European Union are being smuggled into the U.S. from China. Much of this honey is tainted with illegal antibiotics, including chloramphenicol, which can cause DNA damage and cancer, and heavy metals like lead. The US Food and Drug Administration (FDA) states that any product that's been ultra-filtered and no longer contains pollen IS NOT honey. "Mida k'neged mida" the "honey" that Americans are consuming is as empty of real "value" as their empty culture and political process that they insist on foisting upon the rest of the world. ...The fourth empire [Rome, whose successor is America today] ...is not symbolized by an animal whose sign of cleanliness is hidden, for on the contrary, the split hoofs of the swine are openly revealed. This indicates that the relationship that this empire has with the Holy One, is not more than surface deep. That is, it pretentiously flaunts sings of purity, while truthfully, on the inside, it is not pure. Pretending to be pure is the closest it comes to the Holy One and to truth - by displaying their hoofs which externally and superficially indicate purity, while this is not really so. ...the fourth empire was a universal synthesis, alone equivalent to the others. ...Because of its universality, this empire is motivated to be everything, not allowing anyone else to co-exist along with it. ...The fourth empire...because it considers itself everything (a characteristic that derives from its universality) desires that no one else should exist. It therefore destroys all others, and is occupied with destruction only. Thus, this beast [in Daniel's vision, ch. 7] had teeth of iron, a destructive material.... Indeed, the basic trait of this empire was destructiveness, as it burned and destroyed the Temple of our God, an unparalleled act of destruction. The first empire also destroyed the Temple. However, there is a difference; it did so only to dominate Yisrael, the destruction not being an end in itself. For this empire desired elevation above all others.... However, the fourth empire - where Yisrael was already in their hands; ...was intent on destruction and the slight rebellion merely provided the excuse. Its destructiveness derives from the non-existence that cleaves to it, since the fourth empire is the end and finish of the world empires; their deterioration and ruuin. The fourth empire is associated with void, and he who is associated with nothingness and void has the power to transmit it to another. Thus, the fourth empire derives the capacity to destroy and demolish all that is. ...non-existence does not cleave to the original empires, for they each draw an additional empire after themselves. Complete void and non-existence adheres only to the fourth empire; instead of leading to another empire, it leads to void. ...Void, however, is what leads to existential renewal, as is well-known, and therefore, the vacuum and non-existence created by this empire will lead to the re-existence of Yisrael. The fourth empire is therefore called a swine - Hazer, for it will return - TaHazor, royal power to Yisrael. That is to say, the non-existence which adheres to the fourth empire will bring existence to the kingdom of Yisrael. For I know the thoughts that I think about you, says the Lord, thoughts of peace and not of evil, to give you a future and a hope. And you shall call Me and go and pray to Me, and I will hearken to you. And you will seek Me and find Me for you will seek Me with all your heart. And I will be found by you, says the Lord, and I will return your captivity and gather you from all the nations and from all the places where I have driven you, says the Lord, and I will return you to the place whence I exiled you. Gideon Levy, writing for Haaretz, editorializes about the recent results of the Israeli Democracy Institute poll showing that 80% of Israelis believe in G-d and 70% believe that Jews are The Chosen People. He means to be sarcastic and negative in his assessment, but it comes across to me as good news. His "us & them" mindset reminds me of the Erev Rav and their universal hatred of real Jews and Judaism. God exists. Eighty percent of Israeli Jews can't be wrong. And it is precisely for that reason we must say: God protect us from the results of the poll (conducted by the Israel Democracy Institute's Guttman Center for Surveys and the Avi Chai Foundation ). While it is conceivably possible to deal with that burning, wholesale belief in the divine, what do we do with the "You chose us" part? Seventy percent of respondents said they also believed Jews are the Chosen People - and that frightening parameter is only on the rise. ...Even the religious character of the state, which is much less secular than we tend to think - no buses or El Al flights during Shabbat, no civil marriage, no unkosher hotels, a mezuzah on the doorjamb of nearly every home and a rising number of people who kiss it each time they enter or exit - all this can be explained by the survey data. ... From now on, it can no longer be claimed that the secular majority has acquiesced to the religious minority; there is no secular majority, only a negligible minority. ...We should admit the truth, which is that we are an almost religious society and a state that is almost based on religious law. There's no need to keep counting the number of people wearing kippot, headscarves or shtreimels. Bareheaded people are in the same camp: They accept the character of their state, where the religion is the state and the state is the religion, all mixed together. There's no need to keep being shocked by religious extremism - being religious, whether moderate or extreme, is all the same, and it's the majority here. ...From Bnei Brak to Mea She'arim, these Haredim are, to a large extent, us, just with different dress and languages - more extreme versions of the same belief. ...Perhaps it was inevitable. A state that arose on a certain territory and conquered another territory and has remained there nearly forever, all on the basis of Bible stories; a population that never decided whether it was a nation or a religion; and a state that purports to be a "Jewish state," even if no one has any idea what that means. All these cannot exist with no foundation - a chosen people that believes in its God. That is Israel, circa 2012. God have mercy on us. ...The very end of a month, when the moon is barely visible, is an appropriate time to remind ourselves of what we are to be doing with our lives. We can gaze upwards and see almost none of the moon, knowing that a mere two weeks later, the moon will be full. Similarly, we can gaze within ourselves and see not even a tiny spark of inspiration or desire to strive for greatness. At the same time, we should know that we have the ability within us to shine brightly. Right before we begin a new month, we should inspire ourselves to improve, regardless of the method we employ to do. For this reason, specifically the day before Rosh Chodesh is set aside for a day of self improvement and introspection, thus earning it the name Yom Kippur Katan. Three weeks after Tehran threatened action against any US aircraft carrier entering the Strait of Hormuz, US Defense Secretary Leon Panetta disclosed Sunday, Jan. 22, that the USS Enterprise Carrier Strike Group is heading for the Persian Gulf and would steam through the strategic strait in March. This was a direct message to Tehran that the US would continue to deploy ships there. ...debkafile's Washington sources note that Panetta was the first high-ranking administration official to give Tehran an ultimatum: Accept the American offer to negotiate terms for halting your nuclear weapon program, or face up to America's mighty fleet of American aircraft carriers. "Our view is that the carriers, because of their presence, because of the power they represent, are a very important part of our ability to maintain power projection both in the Pacific and in the Middle East," said the defense secretary. His statement gave Iran a time frame for responding to the US ultimatum, just over a month. If by March, Tehran has not accepted the offer to negotiate, President Barack Obama will order the Enterprise to sail through the Strait of Hormuz. An unusually powerful storm hit the city of Iwamizawa on Monday, leaving behind mounds of snow nearly two metres deep. 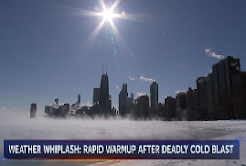 Scientists say they can't confirm exactly how much snow fell because their measuring instruments were damaged in the blizzard. But the island's meteorological agency said this is the most snow Iwamizawa has been hit with since records began in 1946. ...the sheer weight of the snow caused the collapse of a wooden roof. The falling structure knocked over several stoves, setting the building ablaze. On Tuesday, many bus and train services remained suspended due to snow on the tracks and roadways. "Venahafoch hu" in the month of Tevet! "Venahafoch hu" is a term we usually hear at Purim time in the month of Adar. (Maybe it's coming early this year.) It refers to something meant for evil that Hashem flips upside down so that good triumphs - like when the evil Haman was hanged on the very gallows he had built for righteous Mordechai. Here is a heartwarming description of just such an end arising out of the horrible events in Beit Shemesh which occurred over the past months and culminated in nationwide attention in recent days. 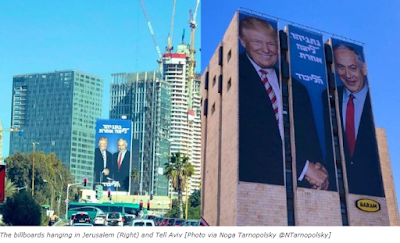 Incredible as this may sound, the wave of anti-chareidi hysteria that has recently swept over Eretz Yisrael has actually brought some positive results. Once again we see that Divine Providence is ultimately in control of events, channeling them to serve a higher purpose. The following story will testify to the sublime truth that the Ramchal teaches us in Daas Tevunos: “The will of HaKadosh Baruch Hu is done in any case.” People bring about events as they like, and He puts the events to work to bring about His goals. Before I tell you about the positive effects of the prolonged uproar over Beit Shemesh, let us note that in our Torah reading, we’ve just completed Sefer Bereishis, ending with the story of Yosef and his brothers. Yosef sums up the whole decades-long ordeal in one sentence: “You calculated to do me evil; G-d calculated it for good.” Events that you see only as the cause of pain, suffering, and anguish were in fact paving the way for something much bigger. It turns out that by drawing so much attention to the chareidim and their intense feelings regarding modesty, the media has stirred up the curiosity of Jewish souls hungry for more knowledge of authentic Torah perspectives. A rebbetzin who is seasoned in kiruv work reports that in the wake of the recent flood of slander against Judaism, which included unabashed mockery of Jewish modesty and family purity, she and her colleagues have received a corresponding flood of inquiries from secular women seeking a deeper understanding of these matters. The media, however evil their intentions, actually sowed the seeds for a Jewish revival that we couldn’t foresee. You in the media, you in the world of political intrigue, calculated to do evil. You schemed to incite more hatred of Judaism among the public (and we chareidim are still suffering from your schemes, and must ask ourselves why we had to be punished in this way), but we must also discern the ray of light that has shot forth, at an unexpected angle, from the unholy mess you created, and we should take comfort in it. You could not suppress the holiness that was meant to find expression precisely now, for it was present in the seeking hearts of Jews, and the results may surprise you as more families bring a new level of kedushah into their lives. We can only hope that there will be so many families seeking this new path that those who lit the fires of hatred will regret what they did when they see things turning out so differently than they planned. I haven't written about web bots in awhile. Actually, I haven't even looked into web bots in awhile. It's creator, Clif High, admits that they are only right about 50% of the time, but they did call 9/11 correctly sixty days in advance of the event (so they say), so it's interesting to see what they are saying now. I've already indicated that I think Purim would be a logical time for Iran (Persia), the site of the Purim story, to figure prominently. If Achmadinejad really is a reincarnation of Haman, he might pick the same date again for an extermination of the Jews. It also happens to be on a full moon and I've recounted my dream about the full moon and missiles from Iran on this blog a few times. With that in mind, you'll understand my keen interest when I encountered the following information on the web bot site. Your destiny arrives in March. Are you ready? As modelspace is progressed into 2012, the [secrets revealed] meta data layer jumps up to dominance in the first 3/three months of the year to reach its initial peak of activity on March 2, 2012, though the meta data layer persists through 2013. During this period of [secrets revealed], we note that [energy (unleashing/unconstrained)] is forming rapidly in many different entities and it moves into position as the dominating meta data archetype by March 9, 2012. From March 2 through 9 inclusive represents the peak of the building tension language. The movement of modelspace after this point no longer provides dominant building tension. ...IF, and it is one of the huge big IF's, but IF we were able to associate building tension language with the [entrenched powers], and there is some small justification for thinking that we may so do, then it would seem reasonable to say that the [entrenched powers] have their point of destruction within the plateau period of March 2 through 9. Note that without regard to whether the [entrenched elite] are able to start their global thermonuclear war and exterminate most of humanity, the [entrenched elite] are no longer dominating powers after March 10, 2012, though as with all entrenched despots it may take us a while to actually remove them all from the planetary social body. "Secrets revealed" is really interesting, considering that Esther's name means "hidden" and she keeps her identity secret until she reveals herself to Achashverosh at the second banquet. March 9 is 15 Adar - Shushan Purim. If WW3 starts, it will definitely mean the end of the "entrenched powers" - those identified (including by the autistics) as the NWO. This isn't supposed to be taken as anything more than pure speculation. Some people like it and others don't. If you are one of the latter, all I can tell you is don't read. I'm not linking to the web bot site because it prominently features language which would offend most of my readers. If you want to read more about the web bots, google it, or search this site. You'll find a lot of failed predictions as well. ...The Vilna Gaon on the Mechilta (Shmos 14:20) and the Midrash Talpiyos (Gog) say, that the Gog U'Magog war shall begin three hours before "Hanetz Hachama" (crack of dawn) on Hoshana Rabba, and shall last three hours only. This is why we say " הוֹשַׁעְנָא שָׁלֹש שָׁעוֹת " If we connect this to what the Zohar quoted above said that the war will be in the 73rd year of the century, it comes out that the war shall take place on Hoshana Rabba of 5773. It is written (Zechariah 14:16 and on), that the Gog U'magog war shall take place on Succos, and for that reason, the Goyim that shall survive the war will come to Yerushalayim every Succos, on the war's anniversary. (See Radak and Metzudas David.) The "Tur" (Orach Chaim 500) writes that Techias Hameisim shall be in Nissan and the victory over Gog U'magog, in Tishrei. This is why the Haftara in Nissan is "the dry bones" and in Tishrei "on the day Gog comes". The Midrash (Tehillim 888) says "you shield my head on the day of weapons, Rabbi Yossi Bar Bon said this is Gog's weapon". Rabbi Eliyahu Buchbut Shlit"a commented that the U.S. war against El Kaida in Afghanistan,began on Hoshana Rabba. This war is not over yet, and is still on low flame. This might be the slow beginning of the major war, which shall develop between the Moslem countries in general, and the Christians, as we will discuss is the Gog U'Magog war. הָר"ת וְס"ת שֶׁל יְהֵא שְׁמֵיהּ רַבָּא מְבָרַךְ לְעָלַם וּלְעָלְמֵי עָלְמַיָּא יִתְבָּרַךְ עִם הַמִּלִּים וְהַכּוֹלֵל, בְּגִימַטְרִיָּא תשע"ג. (the time has come for redemption). The Gemara (Yuma 10A) says the Gog U'Magog war is between Persia and Rome, there's a Machlokes who shall win. The Midrash (Rus Rabba 7:1) says that Ruth laid for six hours, this suggests what we explained, that Boaz hinted about the six hours of the sixth millennium which shall be followed by the Geula. That is why Boaz told her to lay for six hours, till the Geula's morning light is revealed. ...The sefer "Nehora D'Yosef" writes (article 84) that 1335 years past since Rashbi passed away in 3959 until the Arizal was born in 5294. This number is mentioned in the verse in sefer Daniel (12:12) in reference to "Keitz Hayamin" (the end of the days). The Navi Daniel saw a vision about the Geula's time. (Daniel 7:25): " עִדָּן וְעִדָּנִין וּפְלַג עִדָּן ". It seems that the meaning is Mincha time as explained above. עִדָּן refers to the fifth millennium, "וְעִדָּנִין" refers to two periods of time in the sixth millennium, the night and until midday,"וּפְלַג עִדָּן" refers to the half hour following midday. The Keitz written in sefer Daniel (12:7) also refers to this time: "וַיִּשָּׁבַע בְּחֵי הָעוֹלָם כִּי לְמוֹעֵד מוֹעֲדִים וָחֵצִי וּכְכַלּוֹת נַפֵּץ יַד עַם קֹדֶשׁ תִּכְלֶינָה כָל אֵלֶּה." שְׁלשׁ מֵאוֹת שְׁלשִׁים וַחֲמִשָּׁה: וְאַתָּה לֵךְ לַקֵּץ וְתָנוּחַ וְתַעֲמֹד לְגֹרָלְךָ לְקֵץ הַיָּמִין". 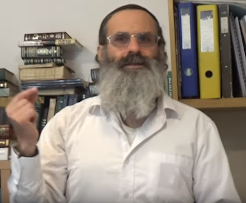 Rabbi Mandel Zatza"l, from Bnei Braq (quoted by his grandson), said after the six day war: "we now must wait 45 years until Moshiach comes, according to the verses in sefer Daniel". Rabbi Mandel also said tens of years ago, that before Moshiach comes a "Kushi" will be president of U.S. Rabbi Zion Siboni Shlit"a interprets the verse quoted above from sefer Daniel, to mean that the calculation is 1290 and another 1335 years from the destruction of the first Beis Hamikdosh, which took place in 3338, since Daniel lived before the period of the second Beis Hamikdosh. According to this calculation, we reach the year of 5963. During the Egyptian exile Hashem reduced 190 years (the exile lasted 210 years instead of 400 years), like the sum of the word קץ , (Keitz, the end), and so shall be in the days to come. Here again we reach the year of 5773. Where are we now in the geulah process? ...The prophet Micha said (7:15), "As in the days of your leaving Egypt, I shall show them marvelous things." His words imply that the Exodus is the precedent for the final Redemption, as the Midrash expounds: "Just as in Egypt, I shall redeem you in the future from subjugation to Edom and shall perform miracles for you, as it says, 'As in the days of your leaving Egypt, I shall display miracles' (Tanchuma, Toldot 17)." Indeed, gradual, phased redemption is found already in Egypt, as in the four redemption expressions with which G-d addresses Moshe: "Therefore tell the Israelites that I am the L-rd. I will (1) remove you from the suffering of Egypt, and I will (2) save you from your enslavement. I will (3) redeem you with an outstretched arm and with great punishments, and I will (4) take you to Me as a people. I will be for you a G-d" (Sh'mot 6:6-7). This refers to four stages of redemption. The first stage constituted a lightening of their hardship, although they continued to be slaves to Par'o. The second stage constituted the total cessation of their enslavement (with the plague of hail, during which Par'o began to admire Israel - Netziv). Even so, Israel were not yet free, but under the control of the Egyptian regime. With the plague of the Firtborns came the third stage, in which Israel were redeemed totally, with an outstretched arm and with great punishments, and they left slavery for freedom. Yet they were still mired in the forty-nine levels of impurity like idol worshipers. Finally came the fourth stage, in which they were taken to be Hashem's people, and Hashem became their G-d. I quoted this so as to introduce the concept of "phased redemption." I would just add another part to the first phase that I think is hidden at the beginning and I'll explain why. Because, before things started getting better, it first got a lot worse when Paro issued the decree that we had to gather our own straw to make the bricks. This would correspond to the words "...tell the Israelites that I am the L-rd" in the same way that "I am the L-rd your G-d..." is the first of the aseret hadribrot. The Zohar (Mishpatim 119B and Acharey 68A) says the Moshiach's birth pangs are like a woman who lowers her head between her knees. It seems that the seventy years of Moshiach's birth pangs began in 5701, between the sefiroth of Netzach and Hod, which are the sod (secret representing) the two legs. Rosh Hashanah of Year 5701 is when her cries of the Moshiach's birth pangs began. ...If Moshiach's birth pangs lasted 70 years, and the birth itself another 2 years, it comes out that the end of 5772 is the coming of Moshiach. As all know, the main agony of the Holocaust and their final solution began in 5701. I heard the name of Rabbi Tzvi Meir Zilberberg shlit"a in the name of Reb Elchonon Wasserman of blessed memory, that the Moshiach's birth pangs began in 5701. The Steipler Gaon also said that during the Holocaust we went through most of the suffering of the pangs of Moshiach. The "Ra'ved" said in sefer "Imrei Bina" that during the year of 5701 and the following four years will be a great disaster for all of Israel . Then, "(1) remove you from the suffering of Egypt" would correspond to renewed Jewish rule in the Land of Israel starting in 5708 (1948), although we were still sort of "slaves" to the nations since it was they who gave us permission to come back to the Land of Israel. Phase (2) is described as "the total cessation of their enslavement (with the plague of hail, during which Par'o began to admire Israel - Netziv). Even so, Israel were not yet free, but under the control of the Egyptian regime." I'm speculating that this phase began in 5727 (1967) when the whole world stood in admiration after the Six Days War and all of the Holy Land was returned to our possession. All of the nations stood by while we were attacked by all of the neighboring countries and we came out victorious with G-d's help. But, to this day they dictate "peace" terms to us. Phase (3) is described as being redeemed "with an outstretched arm and with great punishments." I'm speculating that this phase began in 5765 with the Asian tsunami that took more than a quarter of a million lives. From there, we had the expulsion of Gush Katif, Hurricanes Katrina and Ike, the earthquakes in Haiti, Chile, New Zealand and Japan, right along through the many disasters of 5771 - earthquakes, floods, volcanoes, hurricanes, typhoons, tsunamis and nuclear meltdowns. Not to mention revolutions and economic collapse! If so, then the turning point to Phase (4) will probably occur after World War 3 (in 5772/5773) with the immediate emergence of Mashiach Tzidkeinu - "in which they were taken to be Hashem's people, and Hashem became their G-d."
So lift up your heads and hearts. Give praise and thanks to Hashem. Our servitude is almost finished. The debt is almost paid. Redemption is on the horizon! I love it! If you're sitting in the middle between two enemies, you gotta love it when one of them gets the better of the other. It may not have been quite what Barack Obama meant when he called on Iran to return a US drone that crashed in the Islamic Republic. 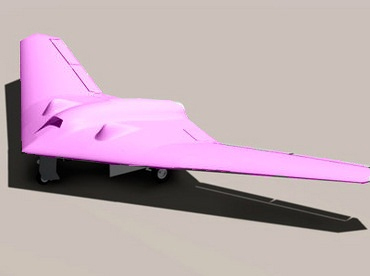 Rather than giving back the multi-million dollar piece of spyware, which has been gleefully paraded for the world's cameras, an Iranian toy maker has promised to send the White House a pink plastic toy replica of the downed drone. Despite what's being reported about Barack Obama being reluctant to use the "military option" with Iran, Hashem has His ways of pulling people in the direction He chooses. And Achmadinejad's taunts and Islamic messianic fervor are just part of His toolbox. The last message from Daniel includes some details which were also mentioned before in earlier messages of the autistic children. HKB”H will slaughter the eigel hazahav before our eyes. Whoever loves his cell phone will see that it doesn’t work, it’s just a hunk of plastic. And whoever loves his car will see that it isn’t able to move. Whoever is happy about the money he has in the bank will see that it disappeared. And whoever is waiting for his pension will discover that it was deleted. Whoever needs to go to the doctor will discover that the office is closed. And whoever loves his money will discover that it’s worthless. Whoever is thirsty will see that there’s no water in the faucet. And whoever will go to the grocery will find that the grocery is empty. This perfectly describes what would happen in the event of an attack which results in an electromagnetic pulse - a weapon uniquely capable of "slaughtering the eigel hazahav." And whoever trusts in HKB”H will have everything: food, bed, Temple, eternity. And whoever doesn’t trust in HKB”H won’t have anything. We should be preparing ourselves now - mentally, emotionally and spiritually - to deal with this event. Humanity is passing through a process of revelation. During this process, "messages," for lack of a more definitive term, are bombarding this reality. Only the spiritually attuned will pick them up. Only the properly equipped receiver will accurately interpret them. That said, I want to posit something to you. The creative mind, even if it doesn't belong to a particularly spiritually-oriented person might subconsciously pick up on these messages, because creativity is a spiritual exercise. The mind is open to inspiration during periods of creativity. The most classic example of this is found in the plot of the movie The Matrix. Many students of kabbalah find in this plot similarities between our reality and the world of the matrix. Although, the matrix is attributed to a malevolent entity in the movie, in our true reality, it is Hashem who has disguised Himself in what we know as Nature. This world is just a curtain of illusion behind which is hidden the true reality which is spiritual in nature. Our absolute belief in it is what gives it its substance and its power. When Hashem will come out of hiding, so-to-speak, this will break the illusion and change our conception of true reality forever. I don't have a television, but I hear from others about new tv shows and sometimes I will check them out via the internet. A new program came to my attention. It's called "Once Upon a Time" and it's based on a very interesting and enlightening premise. It's about a group of storybook characters who, because of an evil queen's curse, have forgotten who they really are. The messiah-figure is Emma Swan, the daughter of Snow White and Prince Charming, who alone escaped the curse. But, because it happened when she was a baby, she has no memories of who she really is either. When she arrives in Storybrooke, the town where all the characters now reside, changes begin to occur and memories begin to surface and characters who belong together, but who had been separated, begin to find each other. L'havdil, we are the reincarnation of the Dor HaDeah, the generation of the Exodus. With the arrival of Mashiach Tzidkeinu, we also will begin to change and begin to remember - who we are and how we relate to each other. In fact, that process has already begun. Remember who you are and never forget before Whom you stand. A few hundred years ago, the Haskalah Movement arose and the beginning of the great descent of Am Yisrael. The first things that the Jews threw out were family purity and Shabbat. And since then, Am Yisrael is descending more and more and more in these things, until this generation in which holiness, which is the basis of our connection to HKB”H, has almost disappeared. If there is a rabbi or simple Jew who goes in some way against these two things, they have no possibility of succeeding at all and their end will be very bitter. These two things are the basis of all of Judaism. And if you ask me: “What about Torah learning?” Of course, Torah learning is also basic and there are other things that hold tight to Judaism, but, without holiness, there’s no Torah and without Torah, there’s no holiness, so it’s all one thing. Today, we are learning Torah without holiness. The yeshivas are full of Jews, young men learning Torah, even at a high technical level, but for the majority, there is no holiness. We have a knowledge-weakness in the treatment of issues of holiness, in the Chareidi yeshivas as well as the schools. When they call all kinds of things forbidden, instead of removing the offenders, the administration usually deals with it with great forgiveness, whether out of a desire to protect the name of the institution or out of economic considerations. What else can I tell you? You know, this is a confused generation, so attached to the eigel hazahav; so attached to the lie of the world and unable to leave this ease; very difficult for them to leave. I can only say this to you – standing before us is the fulfillment of the prophecies; a most difficult war, a real war. The root of the struggle is spiritual; between Christians, Muslims, Jews and Atheists, of such we shouldn’t know. And everyone is against everyone. And at the end, there will be great destruction in this world. The majority of the world will be destroyed, but the real Am Yisrael, the true Jews who are really close to HKB”H, who really have true souls who stood at Har Sinai and said “We will do and we will hear,” these will come to the truth, will receive our righteous Mashiach and will sacrifice again offerings in the Temple, with G-d’s help. But, we will go through gehinom until then. HKB”H will slaughter the eigel hazahav before our eyes. Whoever loves his cell phone will see that it doesn’t work, it’s just a hunk of plastic. And whoever loves his car will see that it isn’t able to move. Whoever is happy about the money he has in the bank will see that it disappeared. And whoever is waiting for his pension will discover that it was deleted. Whoever needs to go to the doctor will discover that the office is closed. And whoever loves his money will discover that it’s worthless. Whoever is thirsty will see that there’s no water in the faucet. And whoever will go to the grocery will find that the grocery is empty. Whoever relies on the army to protect them will hear how the missiles explode all around. And whoever trusts in HKB”H will have everything: food, bed, Temple, eternity. And whoever doesn’t trust in HKB”H won’t have anything. The world is moving toward war. The crazy people – those who are reincarnations of all kinds of evildoers from all the eras – are trying to rule over the world and to be, G-d forbid, like in the place of HKB”H. It’s foolishness even to think that it’s possible to do a thing like that. But, they are so full of the feeling of their own powers that they can’t accept this under any circumstances that they are totally people that HKB”H created. So, they’re dragging the whole world to the end with massive destruction, with tremendous suffering to all the world’s population. Jews and gentiles with a bit of comprehension feel clearly that there’s going to be a disaster in the world, in the economy as well as in the war. The majority of the world will be destroyed and a majority of the world’s population will be killed. Among the Jews, those who stood at Har Sinai will remain. When I speak of holiness, this holiness is in fact the basis of Judaism, of the life of the Jew. In thoughts, in dress and in behaviors, it’s how a person speaks, it’s how he walks in the street, in which way he moves his body - if in pride with raised head and walk of a “show-off” or he walks refined with head down and not trying to catch the eye of people. If it’s in attire, of women as well as men: a modest woman, her body is covered in as many layers as possible, because it’s the custom of our mothers. And if the Torah says that the hair of a woman is promiscuity, that a married woman needs to be modest, needs to appear married, she can’t put on herself a wig with the hair of another woman and think it is modest. It’s promiscuity and in Heaven, it’s much worse than desecration of Shabbat. A woman with a wig of today looks bareheaded and if she says that her husband wants this, then the two of them will go to gehinom. And if she will say that her rabbi allows it, it’s hard for me to believe that a rabbi sees the wig and rules that it’s kosher. The foreign wig gives the woman the feeling of bareheadedness, a feeling of freedom to be like an available woman, that she’s not married and this is the big lie of the generation, the great success of the Sitra Achra. Because they permitted wigs hundreds of years ago because of a decree of the gentiles, but today, there is no decree of the gentiles that obligates the women to go with a wig and despite this, they continue to go with the wig. In the time of the Gemara that it’s written that there were here and there women with a wig, but they didn’t go out into the street with a revealed wig. Our fathers, until recently, a generation ago, had modesty. They would walk with wide clothes and today they walk with tight pants and short coats, colorful ties, etc. and aside from that, there are women who eat in the street. This is not modest, it’s forbidden; men as well as women. There’s a speaking style that women speak on the street in a loud voice, eye-catching, going with shoes that make noise, with eye-catching jewelry. Aside from the immodest clothing, short and narrow, etc., there are forbidden meetings between women and men. There are work places where there are men and women. There are eating places where they’re sitting really crowded and it’s forbidden. “Kedoshim tihiyu” – this is our whole life. A man who doesn’t have holy thoughts, a speaker of not nice words, a walker with promiscuous dress, not modest, man or woman, how can he pray before HKB”H!? To stand before HKB”H!? Women say: “So, what if she doesn’t dress exactly modestly, but she prays so strongly…” It’s like saying: “So what if she eats a little pork every day, but she prays so beautifully…” It’s impossible to stand before HKB”H in promiscuity. This is chutzpah. To stand without modesty and to pray holy words before HKB”H – it’s really chutzpah, above and beyond. Every man who throws away modesty, holiness, he’s a chutspan – an insolent person – and there’s no other word for him. We’ve lost the sensation, the feelings of holiness. Now it’s Hanukah, there are all kinds of shows and films, supposedly kosher, but, they’re not kosher. It’s all imitation of the gentiles and it’s forbidden and it’s the not-good smell from the eigel hazahav. This severe decline in holiness, in dress, and in behavior is bringing us to severe sins. Our Chareidi world is full of forbidden things, full of promiscuity, illicit relationships and terrible things. Hashem have mercy. Abba, that’s the last message by this method, by this method of communication. But, Abba, with G-d’s help, in a bit, you and I will speak regular. I hope that in the nearest future, we will get though all the wars and your Daniel will be able to speak with you like a Torah scholar, like a completely normal Jew. As I said, this one is quite lengthy, so I'm breaking it up into two parts. Abba, Abba, it’s already a few years that we have had the merit to give messages from Heaven to Am Yisrael. I remember the first messages, Abba, that you could hardly believe that I am capable of something like this, that it’s not a dream, that it’s real. Perhaps in the beginning you weren’t sure it’s real, but during the years, you saw that what I said really came to be. And here, Abba, we’ve arrived to the last stage before the redemption - the hardest stage for Am Yisrael - and in general, for the world. We’re standing upon the opening to redemption. And at this moment, after so many years of messages, messages intended to help Am Yisrael to prepare for the redemption, we’ve arrived at the moment of the last message, this method of communication, in short FC. Why did we suddenly receive a message from Heaven to stop the messages in general? Because, the world has changed completely. And everything that we’ve said until now is what we would also say in the future, because there’s nothing more to say in this stage. There is nothing more to say to Am Yisrael about how to prepare ourselves for the redemption. If you want to be strengthened, then simply take out the previous pages and go over them. There’s nothing new to say to you. The world is a mess. The Jews, and in general, all the residents of the world, gentiles as well as Jews, they got used to materialism above and beyond the worst nightmares of our grandparents. They couldn’t even imagine the abundance that we enjoy from this. But, for this abundance, we’re paying a heavy price. It has almost destroyed Yiddishkeit. And there’s no more painful or heavy price than this. It has almost destroyed our connection with the truth, with HKB”H. And there’s no bigger price than this. Am Yisrael has created a plastic Judaism. A Judaism that is suited to our false requirements from the Olam Hazeh - superficial pleasures and all the things that are the exact opposite of our holy Torah. We took our Yiddishkeit and turned it into something artificial, appropriate to every superficial and silly need of every Jew who really wants only the eigel hazahav - this world and its pleasures. Baruch Hashem, there are other Jews who are trying to hold onto the status of true Judaism and a real closeness to HKB”H. They’re trying to learn for the sake of Heaven; to raise their children according to the Torah of Moshe, but they are few. And as much as we write and we write, and we try to bring the truth before Am Yisrael, we don’t succeed very much. Maybe here and there we’ve opened a heart a bit to the truth, Baruch Hashem. But, for the majority, the Jews are not ready to hear and not just not ready to hear us, they’re not ready and not interested in understanding the truth that’s in the Torah. In all the world, there are gentiles, and among them also Jews, who want to rule over everything and to bring the world to a situation so bad, so cruel, so not belonging to any religion of humanity, in order that they themselves will rule over everything. That they themselves will be, G-d forbid, like in the place of HKB”H, like the generation of the Tower of Bavel. And like in that generation, Hashem allowed them to continue and have success, but in the end, He brought them down very strongly. They will disappear from the reality. And also among Jews there is such a thing – the same thing – just on a smaller scale, but a thousand times greater effect, because the center of the world is the Jew. The center of existence is the Jew and the center of the spirituality is the Jew. Even though there are little Jews in this world, what happens to them influences the whole world. Here in Eretz Yisrael, we have a government whose majority are anti-religious. And there is among them a group of Jews with important roles who want to associate with these gentiles who desire to rule over the world and to create a new-world-order that is foreign and based upon wickedness. And in the group of these evildoers there are also secular Jews from all over the world who believe in this thing and they participate in it and they have a big part in it. There are also secular Jews who have forgotten, in general, what it is to be a Jew. In general, in general, in general. And they also behave like gentiles and they want to behave like gentiles. But, there are among them true Jews, who in their heart and in their soul, they are true Jews. And it takes sometimes only one word to open this place and they will be able to make teshuva. But, there are among them those who come from the source of the Erev Rav and they can’t return in teshuva. After that, we have the Modern-Orthodox Jews abroad. In Israel, we call them “national-religious.” There are among them, many who are confused between the Olam Hazeh and Olam Haba. They want both, but that’s not possible. They need to decide. The Olam Hazeh is only for the sake of preparing ourselves for the redemption and Olam Haba. If we take the Torah from one side and Olam Hazeh from the other and try to make from them one thing, it will never work, because the Olam Hazeh is falsehood and the Torah is truth. The Torah will never accept falsehood. Also among the national-religious and the Modern Orthodox and also among their rabbis there are Erev Rav. And they can’t do teshuva – this Erev Rav – because they are not from Jewish souls. According to the law, they are Jews, but they don’t have Jewish souls and never did. They always make problems for us. There is also the Chareidim, among whom are Ashkenazim and Sefardim, Litvak, Hassidim, etc. Also, to my great sorrow, in this holy-of-holies that once was the magnificence of the world, that once held the spiritual world, that because of them the world stood, in general, without being destroyed; also, among them has entered in a severe pollution. This pollution is the most dangerous. It comes from the Erev Rav and enters into the most Chareidi world - the world that is closest to HKB”H. Also in this Chareidi world, remain the relatively few people who still hold onto the truth. It’s hard to believe, but also among the Chareidi Jews there are Erev Rav. And even among their leaders, there are Erev Rav. Hashem have mercy. And this Erev Rav tries to cool us off from our religion; to attract us to materialism; to draw us close to the seculars or to the government; to draw us near to the gentile world. And they do this in a way that is supposedly for the sake of Heaven. These Jews do great damage. So, we know that every true Jew will be saved, with G-d’s help, because every Jewish soul is very dear in Heaven. Hashem will pull us back by force. But, if he will be very damaged, he will have tremendous suffering until he comes to the truth. The Erev Rav who are among us will not be saved. Even if it appears that they are being successful, they’ won't succeed. They are being exposed more and more, because they are fighting more and more openly against the holiness of Am Yisrael. The last message from Daniel remains to be translated. It is very long, so I opted to post these two short ones which appeared at the very end of the final messages sheet. Am Yisrael! The last opportunity is coming. When our warnings will cease – the end will be close - the end of your empty life. The truth will begin to be revealed little by little until those who are to survive the future events will be ready to receive the full light. Am Yisrael! Stop your foolish misdeeds. Love one another. Return to your Torah in purity. Draw near to your Creator! My dear mother, the messages from the autistics and brain-damaged resemble the era of the prophets who warned and warned the People of Israel and later that from Heaven they gave to Am Yisrael a lot of time to return in teshuva for their sins and wickedness from their iniquities. The people erred to think that the words of the prophets were futile and empty and it’s not in their power to be realized. When things happened and difficult troubles befell our people - destruction and exile - Am Yisrael understood that all the words of the prophets were truth, but it was all already too late! Because, the midat hadin had already begun to operate in the world and was unable to be withdrawn. So, the decree went into operation! It only remained to cry over Am Yisrael in Heaven and on Earth. There is some similarity to our messages – the brain-damaged. Soon, when they will see that everything happens and I wish it wouldn’t, then it only remains for us to cry and cry and to pray to our Father in Heaven to have mercy on us and to return to Hashem, in order to stop the severe Divine punishments from suddenly coming upon us. "The Last Message for Jews Abroad"
“Sevivon, sov, sov, sov, Hanukah hu chag tov…” These are the days of Hanukah and everyone is celebrating. There are parties, and there are exhibits, there are movies, there are shows, traveling for trips, and eating a lot of donuts and potato pancakes. But, as the children ask: “Why do we celebrate Hanukah?” Then, the secular for sure don’t know. They will say “perhaps because of the tasty donut…” And the chareidi, he knows that there was a war with Antiochus, with the Hellenists, etc. But, it doesn’t so much interest him like the movies, the trips and of course, like the vacation from cheder and school at Hanukah. We are now at the second or third candle of Hanukah and I only want to cry, because again, we are the few against the many. But, not just the many of the wide world. We are not just the few against the gentiles who are many more than us. These are also among the Jews – we have enemies, also among the Jews – there are enemies to HKB”H. And this is the biggest problem. And the Hellenists who are in Eretz Yisrael and in all the lands of the world, they damage the rest of the Jews, the fire in the heart and in the soul of every Jew – these are the Erev Rav. Indeed, according to the law, they are Jews, but as we learn, at the end, before Mashiach comes, the Erev Rav will be the most serious enemy. Because they are Jews according to the law and part of them are even “chareidim,” and these are chareidim who hate holiness and faith and trust in HKB”H and they are even sometimes rabbis and leaders of the chareidi world. And sometimes, they are Torah scholars and sometimes simple Jews, the most regular. But, there is one common denominator for everyone: They hate holiness. They hate the connection with HKB”H – the special connection of every Jew and Jew. And since they went out of Egypt with us, they envy us, but they can’t come to faith and trust and love of Hashem, because they remained strangers. And today, if we look at chareidi society and how they celebrate Hanukah, we see clearly how a few Erev Rav have managed to weaken the Yiddishkeit of Am Yisrael. Many Jews, very many chareidi, religious, secular Jews light Hanukah menorahs on this holiday - chanukiot. They’re lighting candles for eight nights. This is seemingly a good sign, that there are more and more Jews really celebrating such an important holiday. But, if we look and observe more closely then, how that the estranged sometimes make some gesture to HKB”H, on this they do some thing like hearing the megillah at Purim, or to light Hanukah candles, nevertheless together with it – the chareidim more and more are receiving the leaders of the Hellenists. But it’s not “you can go crazy,” because in truth, we’ve already “gone crazy.” We are drunk on the degraded customs and behaviors of the gentiles. And in the near future we will have a very difficult awakening. And because of this, we are writing these last messages. It’s already almost twenty years since we began to bring messages to the chareidi Jewish world. And now the time is finished, because in just a little bit, the world is going to change completely. And the change will be very difficult. The change will be very frightening. And the process of the change will be very, very hard on everyone. We’ve already entered into this period and to this stage that’s before the redemption. And there’s nothing more for us to say. And every one of us who writes now these messages, tries to organize all the things that we’ve said in a few words so that it will be for you a sort of teacher of the way, to those who aren’t Torah scholars, in order that you may pass through this time in ease or at least more easily. Again, I will remind you: Every true Jew will survive. If he is farther from the truth, Hashem will drag him the strong and hard way until he will understand the truth and will accept it. If he is closer to Hashem, he will suffer less. And if a Jew dies before this redemption period, that’s not to say that he is Erev Rav. Because, for the Erev Rav, there will be a special death so that everyone will know that they were Erev Rav and not a good Jew. Therefore, again, we will go over all the problems that we have in Olam Hazeh. And I turn to the matter for the Jews abroad. And don’t tell me that the Satmar Rebbe, ztz”l said that it’s forbidden to come to live in the State of Israel, because I know this and I believe this. But, if the Satmar Rebbe ztz”l were here today, I believe he also would go up to the Land. Because he would see that this is the end. And not only this, I am sure that the Satmar Rebbe ztz”l, from his good place in Olam Haba, cries very much over his community and over all the communities of Am Yisrael. And especially those abroad, who use his name in order to make big sins. And use what he wrote in order to prevent, at this moment, Jews from coming to the Land. Because, I am sure that he himself would get up and lead his community here, because the world is in a huge danger. Every European Jew and every American Jew is in a huge danger, spiritually and physically. And within a very short time, you will understand what I am saying. The spiritual danger in America and in Europe and in the Land now – it’s the same thing. The eigel hazahav has destroyed the Jews in every place in the world, and if we will continue with it, it will destroy all of Judaism. But if we add up all the dangers, the least dangerous place is Eretz Yisrael, even that still there is here a government of evildoers. Because we have a promise from HKB”H that Eretz Yisrael - not “the State of Israel” - it’s Eretz Yisrael that won’t be destroyed. Eretz Yisrael will remain. And in Eretz Yisrael, we will build the Third Temple, with G-d’s help, and in Eretz Yisrael we will receive our righteous Mashiach in the near future, with G-d’s help. But in the United States, and in Europe, and in similar places, the physical, bodily danger to Jews, the danger of anti-Semitism is growing and going. And there is not one promise from Heaven that the United States and Europe will not be destroyed. Jews, you know the prophecies, two thirds of the world will be destroyed. One-third, including Edom, will be completely destroyed; a second third very severe, and Eretz Yisrael will not be harmed. I ask from you a moment to think, to observe. All your parties, especially abroad, all your chesed, all your prayers, all your faith and trust in Hashem, all your Torah learning, what is it worth? Not much. Why? Because, for the majority, it’s just a decoration for your physical needs, your physicalities. For the majority, it’s not something deep. It’s simply a reason to do what you want. A famous example, in America, is that in the majority of synagogues there are so many people talking with one another until it’s almost impossible to pray. This thing is known in the United States. There is much, much chesed, but much of this chesed is not real. It’s chesed for the sake of ensuring livelihood. It’s almost a superstition and not as faith and trust in HKB”H. The Jews abroad, very, very much want entertainment, must have the entertainment. And they don’t understand that the entertainment is goyische; it’s a waste of time. We have a small amount of time to live and we’re wasting it on entertainment. Pity! A pity on every moment! There are the Torah scholars, the young men, who sit and learn and woe to us, woe to us. What is the Torah without a soul? What is the Torah without holiness? And this is what there is in the majority of yeshivas. And abroad it’s worse, but also in the Land. In these yeshivas are a lot of young men and they learn really wonderfully, but they are without holiness, the majority. And if there’s no holiness, there’s no Torah, because the basis, the foundation of all of Yiddishkeit, of all of Torah, is holiness. This holiness is the shield on each part of life. And a Jew who is holy, how can he walk around dressed in tight pants and short jacket and all day, he just decides which tie he will choose to wear? How can it be that a groom, a chasid, goes with a shtreimel that looks like a “clown hat” with sharp tips that makes it higher than it is? Because there is nothing for a person to do. The shtreimel that was once a symbol of a crown - of something special, spiritual - it’s the opposite of a “clown’s hat.” Indeed, prestigious, but without holiness. In general, every matter of the sanctity of marriage is really turned into a gentile thing. All the ideas are non-Jewish ideas, at least usually. The vast majority of counselors rely much on psychology and on the gentile direction of a relationship between a married couple. And this is very sick. And it’s anti-Torah. Psychology has also entered every matter of education in the cheders and yeshivas. Because there are severe problems, so they accuse the Torah for the problems. Because the Torah, G-d forbid, is “not modern” and it “doesn’t understand the children,” G-d forbid. But, in truth, the problem in the yeshivas and cheders is that they don’t walk according to the Torah. ; that they’re trying to live a life of the gentiles. Because in the moment that we live a-life-of-the-gentiles, then we are receiving the sicknesses and the problems of the gentiles. A large part of our children is in a very difficult situation. They are not behaving exactly like Jews, even though they dress like Jews and they’re not exactly gentiles, because nevertheless, there is some Jewish soul, usually. Woe to us, I won’t get more into things, because you can read enough all the communications that we did during twenty years. But, what I will tell you, if you don’t return in real teshuva, and stop yearning for all the materialism that’s murdering us, murdering our Yiddishkeit, murdering our eternity, then you have to take out this evil inclination from the head and the heart and come to the truth; to enjoy and to yearn to be close to HKB”H. To feel the emotion that is impossible to describe, the feeling that’s so wonderful of a man who is close to the Master of the World, the Omnipotent. The feeling of ease, of release, of lack of heaviness of man, that can arise, up, up, easy-as-pie and come to a good place. Am Yisrael, again I will say: sit on the floor, put on sackcloth and ashes, cry to HKB”H, beg forgiveness for all the sins, cry with real tears,, because without it, without doing a hard operation and taking out the poison of the eigel hazahav that the Erev Rav put into us, without taking it out completely – you will suffer very much. Yes, there will be a war - a very difficult and fearful war; war that many millions will go from the world. But, the true Jews will survive and will receive our righteous Mashiach. And these will enjoy the greatest pleasure that there is. And it is closeness to HKB”H. And we will continue to arise and come close to HKB”H, more and more. We, this is the basis of HKB”H in the new world for His final creation. The creation that will be a world within which really everything is absolutely good. End. This last message page was number 79. This gematria is “Ben David comes” or “To G-d life.” It’s both and the explanation, the meaning, it’s about both. This year, with G-d’s help, it needs to be the redemption, 5772/5773. This communication – it will be the eightieth page in the book of the volumes, which is “their savior,” that is to say, our redemption. Eighty is also, in gematria, “the trust,” because without trust in HKB”H, it’s impossible to be redeemed. And this is the most important thing - complete and absolute trust only in HKB”H; that He can do anything and that everything is for our good and this is the key to redemption. Likewise, it is in gematria: “foundation.” And it is the foundation. “The trust” – it is the foundation and the key to redemption and likewise, it is in number “all who love him,” because it’s clear that all who love Him will be saved, and them alone. I hope that all the true Jews will take this to their hearts, and merit to meet in the Holy Temple. End. NOTE: There are two more "final messages" remaining. Q. Why don’t we have the right to hear more messages? A. Again, it was stopped because now every Jew has to search out a connection with HKB”H for himself. This coming month of Shevat, it will be twenty years that we are speaking. Twenty years since Yitzchak-Izik wrote the first message. In all this period, our job was to strengthen Am Yisrael, and slowly, slowly, during all these year - and twenty years is a lot of time - slowly, slowly, to bring them to this moment. But, Am Yisrael hears, reads, there are people who understand more and understand less. And it’s not only us in this world who are speaking about the redemption and the salvation. There are more who are trying to help Am Yisrael. But, Am Yisrael needs to want to in himself. It’s impossible to force someone to do something against his will. He needs to want to. So, if he wants – he must do the last part himself. It’s like when a child begins to walk, it’s possible to help him, but at some stage he needs so much to want to walk, until he will get up and will walk himself without any problems. Because he wants to walk. Because he wants to be independent and to arrive to places. And we, also. You need to want to be a servant of Hashem. And if we will be servants of Hashem, then we will be free men. But, you need to want to, because without this, it doesn’t go. This is the time you need to want to. Almost each thing that’s been said until now, all that’s been said, will be possible to read. With G-d’s help, a booklet from the last messages is coming out, along with additional suitable sections. And if someone wants to receive strengthening, especially from what we have written, he will be able to lift the telephone and listen or read the booklet. Because there is nothing new or added that’s left to say. To tell you “when something will explode” or “when will be the war,” or today and this hour exactly - impossible. And it’s not important. What’s important is that everyone will return in teshuva. That’s what’s important. That everyone will arrive to HKB”H. That’s what’s important. To being to be too busy with: “which country will shoot off the first missile” – that’s not important. Q. “Restore our judges as at first” – Ben David will not come until the false leadership ends. How can we really know who is a posek, who is a leader to the truth without bias? How can we identify? A. We don’t know. Therefore, I say: The Jew needs to be connected to HKB”H. And to be very careful with whom he makes a connection. And even if he is careful, he doesn’t always know. The signs are – the Erev Rav do not have a Jewish heart, therefore he doesn’t have mercy on another Jew. He can indeed “make a show of it,” but a true Jew needs to know that it’s a show. Maybe not the first time, but the second or third time it will be clearer. This is a time that a Jew needs to be alone. To be alone with HKB”H. And not purposely, it’s not by chance that the idea of “hitbodedut” has returned in this generation by Rebbe Nachman, ztz”l. Because it is approximately what you need to do: to be alone with Hashem. And you don’t need to go to a forest, especially, for this. It can be done in the living room. But you need to be alone and search out the truth. And then, Hashem will help us. Alone, we can not do it. And you need every day to request from Hashem to save us from the Erev Rav. A. But, that’s right, these are indeed three things which describe a true Jew. But there are Erev Rav who know to make an excellent show. Q. Already, hundreds of years ago, in the writings of Rav Chaim Vital, ztz”l, it says that the leaders do not like to comment on or to admonish on matters of holiness and modesty. What is the reason that especially on this topic they are afraid to rebuke more than remaining deficiencies? A. The reason is clear. Because when there is a great descent, what falls first? In Europe, they first threw out Shabbat, and family purity, and holiness. This is what the people want the most. And this is the greatest desire of the eigel hazahav. And therefore, the careful rabbis didn’t dwell on this so they wouldn’t lose their communities. Q. What do you say about the war against modesty in the holy city of Jerusalem? A. The war of chareidim against modesty is a thing that’s hard to understand. Every life-style of the chareidim in this generation is in trouble. The women wander around the street like prostitutes, and holiness is the last thing that interests them. And with all the Tehillim that they’re saying, and with all the daily prayers, what attracts them is the eigel hazahav. There were periods when the Jews were Jews who lived in Eretz Yisrael and they ran to the ba’al, because the ba’al attracted them. And this is the ba’al of today. The golden calf strongly attracts them, and it’s what they want. The men are dressed like several hundred years ago and the women like models from the newspaper. And worse that even the men today are immodest. Tight suits. There is almost no man who goes like once was: with wide coat, with wide trousers, covering like it should. It almost never happens. Everyone is tight on the body. Even funny, but it’s so disgusting, that it’s a conflict of emotions. Q. What’s with the European dress that’s customary today among the public? A. Without a beard, it’s gentile. A short coat is gentile. The Chazon Ish said, as far as I know, that a Jew needs to go with tails, a long coat. How were the Jews dressed in Europe? They were very much covered, with coats, etc. And in Arab lands, there were robes. A robe over a robe and with a shawl like the Baba Sali. Q. It’s already written in chazal, that in the future Torah will be forgotten from Israel. But, on the other hand, we see that there is a great flowering of Torah institutions in our days, so how does that fit together? A. But, they have forgotten the Torah. There is no Torah for the majority. For, indeed, they didn’t forget what they learned, the words, but they forgot the holiness. They forgot the basis of what it means to be a Jew. How is it possible to learn Torah without holiness? A gentile can learn Torah? Yes! He can sit and take a Gemara with translation and learn. But that’s not to say that he will understand. That’s not to say that he will make a connection. And what is this “Torah learning”? It’s that the soul will develop a relationship with the book and together they will arise, up, up, to special worlds. It’s not to sit and learn and to do tests. It’s not to sit and to learn, by heart, all kinds of details of knowledge just so that afterwards you can give it back by heart. This is just technical. And it’s not learning. It’s not the soul of a Jew. A gentile can’t understand this. He can’t really learn. He can only know to sit, to look at a page and to learn like he learns history or something else. Q. What about the money, the economic situation? A. The money will fall together with the war. That it has not yet fallen is interesting. The economic situation is bad and the evildoers are maintaining it, so that it won’t fall until the moment that it’s suitable for them, but HKB”H will decide. Q. The verse says: “For the word is very near to you….” Is the mitzvah of teshuva really so easy? Also, in our days, it’s so easy? A. Of course, it’s easy. And it’s easier when a person comes so far, then he doesn’t have to make such a big circle to get to the beginning, because he’s much closer…. But later, when his head is blocked with all the trash of Olam Hazeh, of the eigel hazahav, of the Erev Rav, all the education of the Erev Rav, then it’s very difficult. But a true Jew, only one word is enough to open his heart and his feelings. Which word? It’s a different word for everyone to simply awaken it. A. It’s not just that they will request “sackcloth and ashes,” they will ask for HKB”H. They won’t know what to do. They will understand that what they did in life – it was emptiness. It wasn’t completely for the sake of Heaven. It was only for the sake of our eigel hazahav, for the majority. And this will pain them very, very much. So, they will look for something, something to do. To put on tefillin, to sit on the floor, to cry. Man doesn’t know how to cleanse himself from all the falsehood. He will cry from sorrow about how he wasted so much gilgulim during all the years. Q. So, the final tikun is actually that we will know to disregard all the eigel hazahav, all the physicality and materialism, and to “lift up the wings” to the direction of HKB”H, is this the tikun? A. That’s the end, yes. To run away from the snake. What does physicality do for us? It gives us the feeling that we are far from HKB”H; that we don’t need to be dependent upon Him for anything. And more and more this enters into our head. Indeed, there are those who are praying, who are asking for parnasah, etc., but it’s more like a superstition and not like someone who is more connected to Hashem. "The Last Message to Am Yisrael"
Yes, yes, that’s right. We are ceasing for always to write messages to Am Yisrael. With G-d’s help, we are entering now into a period of time; the period that is right before the redemption - the most difficult period of all - a period in which every Jew alone will need to make a strong connection to HKB”H. A period that no one will be able to become stronger from another person, only straight from HKB”H, from the holy books, from the righteous of previous generations and from the trials that Hashem sends to us. And it’s a situation that also we, who are called “autistics” or brain-damaged – also, we aren’t able to give strength or direction, because each Jew whose soul was at Har Sinai must arrive to this on his own. It’s a very difficult period for a part of the people and for part of the people it’s a happy situation. Because part of the people, the biggest part, lives in falsehood. And part of the people, very much smaller, tries to arrive at the truth. And the greatest happiness of the few of Am Yisrael is to live a true life. And this is what brings them the greatest pleasure. The rest of the Jewish population in the world are living lives of falsehood in varying degrees. Some more, some less. But, a great suffering will pass through until they arrive at the truth. And therefore, it is a fearful period, a difficult period. But, also gladdening. However, there will be a huge fear. And there will be war, like we have said over and over again. You don’t need to hear it only from us. It’s written in the prophecies. And now it’s even in the headlines of almost all the newspapers. Indeed, in the headlines of the newspapers, they’re speaking about war, and alongside it they’re talking about football and theater, but there will be war. And it will be the hardest war that there wasn’t like this in all of history. And just to think about the cruel weapon that there is in almost every single country, it’s enough to make one faint from fear. But, true Jews don’t need to fear. Hashem will save us, whether we want or don’t want. And as we’ve said here, there are a lot of Erev Rav among us. Even according to many sources – a majority of the Jews in this generation are Erev Rav. I want to say to you, that because of this, we are not able to receive strength from any person, from any Jew. Because how can we know if it’s Erev Rav or not? There are indeed several signs, but we don’t always see the signs on a person. One sign is that they don’t have the mercy of a Jew to be merciful to another Jew. They really don’t have the feeling, the feeling you have when you see a Jew suffering. They don’t have tears or a heart to have mercy on another Jew. They are cold, cold to other Jews. Another sign is that they cool us off from the religion. They want to extinguish our fire for Hashem. But, it’s not possible, it won’t be. All the true Jews with Jewish souls, even if today they are wandering on the streets licking ice cream on the street, they won’t stoop to cruelty, to the zealotry of the Erev Rav. They will return to the truth. It’s very true that we will see the hardest things in the near future, abroad as well as in Israel. But, outside of Israel it will be terrible. And the word “terrible” is not enough to describe the situation that is pending. The Jews abroad will feel the antisemitism strongly, very strongly; antisemitism that has not yet been in this generation, only in Germany among the Nazis sixty or seventy years ago, or with Stalin. In recent years, we have not felt antisemitism like this and now it will be very strong. The Erev Rav and the gentiles along with a few Jews among them are trying to rule over the world; trying to be, G-d forbid, more than HKB”H. It’s a group of crazies, a group of people who have lost their humanity. Because they are so cruel and evil. And they are also here in this country, but in just a little bit, the truth will arise and we will know who pertains to what. What is most important is that Am Yisrael will return to the truth; will return to his source. That we will return to a pure and holy way of life as in time past. That we will repair the first sin of the first man. That we will repair all the sins since then. And the biggest sin, the first that because of it everyone fell, it’s to think that we can be like HKB”H. That if we could just eat the fruit of the tree, then we would be able to rule over the world completely. But, see, many have tried and failed. And even these Jews and gentiles who are trying to rule, even over a small part of the world or of the population, will fail big time. In every single place, we see this sin – the sin that we want to rule; to rule over a thing that only HKB”H can, but we want to be “like HKB”H.” And the snake still stands and whispers in our ear: “You can! You can rule!” If it’s in science, they have various theories how to create life, G-d forbid, how to create various bacteria in order to kill people. If in medicine, how to create all kinds of treatments for disease, that only result in people’s suffering. And it’s questionable if it helps them, but a lot of money goes into the pocket of the doctors, of the manufacturers and technicians. And they want to rule over entire countries or to rule over them partially, to rule over whole areas. And in general, over the whole world they want to rule. And with the secular Jews, as well, they have the will to rule over all that the gentiles want. Among the national religious Jews, they want to rule over the Arabs and over the State of Israel. Thus they want. And in the chareidi world, there are askanim who want to rule over all the money that comes into the tzedaka boxes of chesed organizations, yeshivas, etc. There are askanim who want it all, the materialism, the spirituality, over all of it they want to rule. They don’t want any other chasidut to rule, only their chasidut. And if not – then it’s permitted to take several iron bars and beat whoever disturbs them. And if that doesn’t help – then it’s possible to do various other tricks in order to do evil to the other. And in general, they want to rule also over the street. To do pizzas, and ice creams, and hamburgers, etc. But, to be, in truth, “chareidim;” everything with a “hechsher.” And this impurity will bring to businesses a lot of money, and to rule over it – this really is a government of eigel hazahav. And thus do the Jews rule. And if someone bothers them, then again, it’s permitted to hit, demonstrate, etc. And they want our women to look like street-women, who attract the eyes of all the men. And if, G-d forbid, someone will dress modestly, will want a life of holiness, then it’s permitted to throw things at her, to pull off her head-covering. That’s permitted. Because there are rabbis who want to rule over the street. And they say it’s permitted because it’s not the street like they want, it’s another street. Part of our leadership are false leaders who don’t pertain to the Jewish people and they want to rule over all the communities. Because it’s a lot of money, much power, etc. The situation is sad in Am Yisrael. Because the chareidim who need to be holy-of-holies, they build, every group, large and small yeshivas, synagogues, study halls, huge, beautiful, impressive, and they build very large girls’ schools. But there is one more difficult problem: They haven’t invited HKB”H to enter there. However, they did invite the officials from “independent education,” or from the Ministry of Education, to see and to sign off, so they’ll give money. What does it matter if the “Liba” program comes in!? What does it matter if they will learn a little about Ben Gurion, y”sh, or about Herzl, y”sh, or about all the liars and evildoers in the history of this State. It can’t hurt… but, look, with this money, we can build more and more girls’ schools, and computers, and art classes, all kinds of things like the seculars which are like the gentiles. And we got the psychology. “Psychology”? This will save us??? Psychology? It’s certain that psychology is part of the snake itself! And all the courses, all the “libas,” they are really the snake itself. The wise ones of the evildoers bring us this in their cunning, that this is the way to break Am Yisrael. This is the way to take the chareidim and dismantle them into little pieces, so they’ll disappear from the world. They’ll disappear inside the eigel hazahav. They’ll disappear inside ice cream shops, drowning in ice cream – and all with a smile. This will be the end of Am Yisrael – if it continues this way, G-d forbid. But, we have to repair this sin, the first sin of Adam and Chava. And just to want to be close to Hashem and not to want to be “in place of Hashem.” Not inside our homes, and not inside our classes, and not inside our social lives. We need only to want to come close to Hashem. Not to rule over any one. Only to come close to Hashem. And that’s it, the biggest tikun: to do the will of Hashem. And, in any case, if we do the will of Hashem, all our sins will disappear and we are arriving to the inheritance. Therefore, Am Yisrael! HKB”H loves you very, very much. You went out of Egypt within love, went out of Egypt almost without food. Indeed with much gold, but with little food. And a majority of the Jews died in Egypt. You didn’t cry about it and didn’t get angry about it. You went out of Egypt in happiness and in faith and trust in Hashem and Hashem didn’t forget it. He didn’t forget His bride who went with Him into the desert, only within love, simply love. But from this moment, the minute immediately after we went out – already the problem of the matter of the eigel hazahav started, and until today it’s really destroying us. Therefore, Am Yisrael, the tikun is to establish anew the connection with HKB”H. Not as a whole people, at this moment, but each one, every Jew, that will arrive to HKB”H, and you will perceive, so to speak, straight to HKB”H, the few who love HKB”H and want to be His servant; want to serve Him. This is the main thing. And then, with G-d’s help, we will go out from this exile to freedom, to the complete redemption. And we will receive our righteous Mashiach really in happiness. And we will continue thus to eternity. NOTE: I have left out all the numerous sources because they are very difficult for me to translate. I don't always understand the abbreviations or have the sources at hand to correctly render the translation. If you are interested in looking them up, please consult the original here. With G-d's help, the rest of the messages are coming. ...and start being HOLY! KADOSH! "To be set apart for a sacred purpose." "Kedoshim tihiyu ki Ani Kadosh." All that stuff I said before about hate? It's all true. But, it is a trait that will certainly be abused and misused if the person exhibiting it is not righteous and kadosh. Ah, you knew there was a catch somewhere, eh? It's no "catch" though. This should be the normal default setting for all our lives. Righteous and kadosh! Then we would hate appropriately as well as love appropriately. How many unrighteous and unholy things pass because the person doing it claims to be "religious" or is acting in the name of (somebody's) religion. "Religious" is from the outside in and holiness is from the inside out. "Religious" stems from Olam Hazeh, the world of sheker. Righteousness and holiness is rooted in the upper worlds and permeates and surrounds pure Truth. "And you shall be to Me a kingdom of priests and a holy nation." "For you are a holy people to the LORD your God; the LORD your God has chosen you to be a people for Himself, a special treasure above all the peoples on the face of the earth." "For the LORD your God walks in the midst of your camp, to deliver you and give your enemies over to you; therefore your camp shall be holy, that He may see no unclean thing among you, and turn away from you." It is certainly not a coincidence that in recent days there has been such a focus on modesty and what constitutes modest dress and behavior. From what I see, we are far, far, far away from the ideal as exemplified by our holy mothers - Sarah, Rivkah, Rachel and Leah. Fashions change, but Hashem does not. We are held to the same standard as our holy mothers. Now, during the "shovavim" period, is as good a time as any to begin to make improvements. Shovavim is an acronym for the parshiyot that we read during the period between Chanukah and Purim. Rav Nachman Cohen writes that this period is an auspicious time to repent for Adam's sin with the Eitz Hadaat and his subsequent errant behavior, pegimat habrit, for which mankind suffers until today. Why do we specifically repent now for the sin of Adam? This period falls after the winter solstice when the days begin to get longer. When Adam sinned, the days began to get shorter and he thought it was because of his sin. When the days began to get longer again, he realized he was not doomed and that his repentance had been accepted. Thus this period is an eit ratzon where one can connect to Hashem. Working on curbing one’s physical desires and avoiding inappropriate pleasures seems male focused. What is the corollary for women? The Maharal says that the primary praise of a woman is her level of tzniut. Rav Pincus writes that because Adam and Chava did not conduct themselves modestly, the snake desired Chava and devised a plot to make her sin. Therefore, in a sense, the sin of Eitz Hadaat came about through immodesty. What is modesty? It is a call to concentrate our energies on our inner personality, our spiritual nature, which is deep and hidden within us. We must become attuned to our souls instead of getting caught up in the outer trappings of the physical world. Shovavim is not only a time to work on tzniut but a time of introspection, a time to work on our relationship with Hashem. This entails watching our behavior with the awareness that we are in the presence of Hashem. It is irrelevant what other people think. Life is about walking alone with Hashem. Elevating mitzvot to a higher level by practicing modesty in deed – not talking about the mitzvot you’ve done, is an appropriate goal to work on during Shovavim. These levels of modesty can be applied equally to men. How do we understand that the major accolade of a woman is her tzniut? Tzniut is to protect. The more valuable something is the more protection it needs. Our soul is our most precious possession. A woman’s job is to protect her soul and the souls of her family. A mother determines her child’s Jewishness. It is within the mother’s womb, rather than in the beit midrash, that the angel teaches the fetus Torah. Whatever the mother exposes herself to has a tremendous effect on her children. Rav Wolfson explains that during Shovavim we re-experience the parshiyot of the weeks. We ourselves go through slavery and redemption. Ultimate redemption is when we succeed in bringing the secret of Hashem into our tent. Shovavim is feeling Hashem’s presence in our home. It is a time of introspection when we try to positively create harmony and the proper environment within our homes. Adam named all the animals because he knew their essence. He named himself Adam since Hashem formed him from earth. The Alter of Slabodka explains that we are like the earth, in which there is a constant cycle of planting and harvesting. Human life involves constant effort and growth. The Netivot Shalom writes that the 42 days of Shovavim are a microcosm of the 42 places the Jews encamped in when they left Egypt. The Baal Shem Tov notes that we go through 42 major experiences in our lives. Shovavim reminds us that life is about moving forward, not standing still. The Torah says about the Jewish nation in the desert, “Vayisahu vayachanu, They traveled and they encamped.” Life is not only about growing and changing but about making time to integrate what we’ve gained into our lives. We also need to recognize that the encampments of life may sometimes be difficult. Moving forward despite challenges and recognizing that Hashem is leading the way, is living life with true emuna the way Hashem meant it to be.